Hill Farmstead, Society & Solitude # 6: Beer #1,157: I’ve now had what I’ll call the sweet spot of the Society & Solitude run… # 4, # 5 and now # 6. This is so amazingly good. Soft edges on the bitterness, soft mouthfeel, lush fruit, lemons, strawberry…so good 97 points. 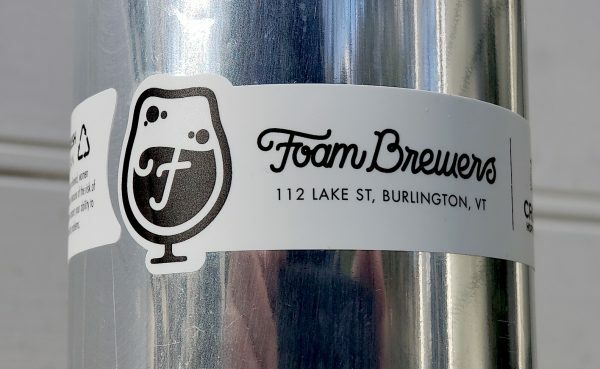 Foam & Other Half, Mouthful of Diamonds: Beer #1,158 – Spectacular collaboration. soft but assertive, juicy…really juicy, orange rind, pear. 97 points. 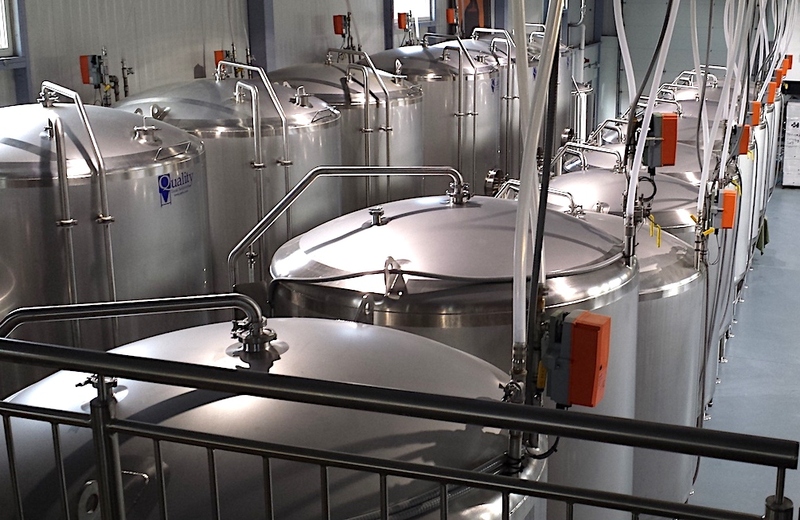 Foam, Like Clockwork: Beer #1,159 – Straight from the brewery. When it was fresh, spectacular. Massive aroma, full-bodied, juicy beyond belief that squelches any hint of bitterness. A few weeks in it changes with a shift in power between juice/bitter. I’ll judge it on the fresh…96 points. Foam, Think I’m in Love: Beer #1,160 – First time having this beer, filled with strawberry and assertive bitterness. Second time, more of a dank herbal experience. Hoppy resin, lemon-grass. 92 points. Tree House, Snow: Beer #1,161 – A unique beer from Tree House. The predominant flavor feature to be lemon. Chewy mouthfeel. Bitterness is a bit much for my liking but still a nice beer 90 points. Treehouse BBBright: Beer #1,163 – Easy drinking beer, soft, pithy with lemon, pineapple and mango. 93 points. Green Empire Brewing, Side Business: Beer #1,164 – From Colchester, VT. A really a nice beer, the advertise it as grapefruit and pine but I find it opens with some nice strawberry, pineapple. Enjoyed this to a 92. 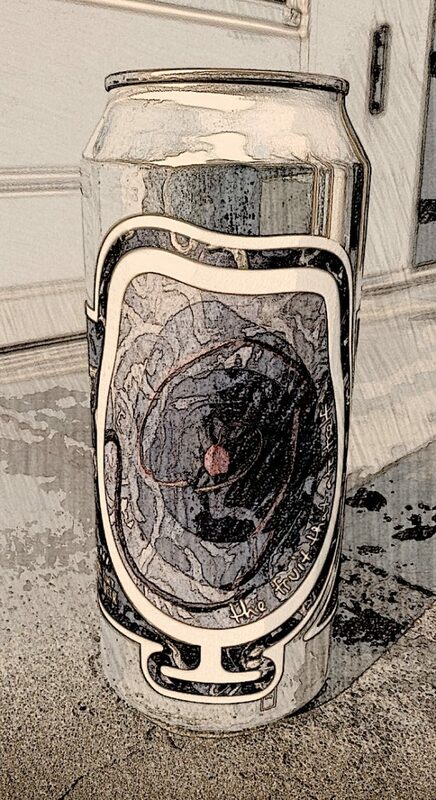 Treehouse, AAAlter Ego: Beer #1,165 – Big fan of Alter Ego. the AAA version doesn’t seem to ramp it up but still a really nice beer 94 points. 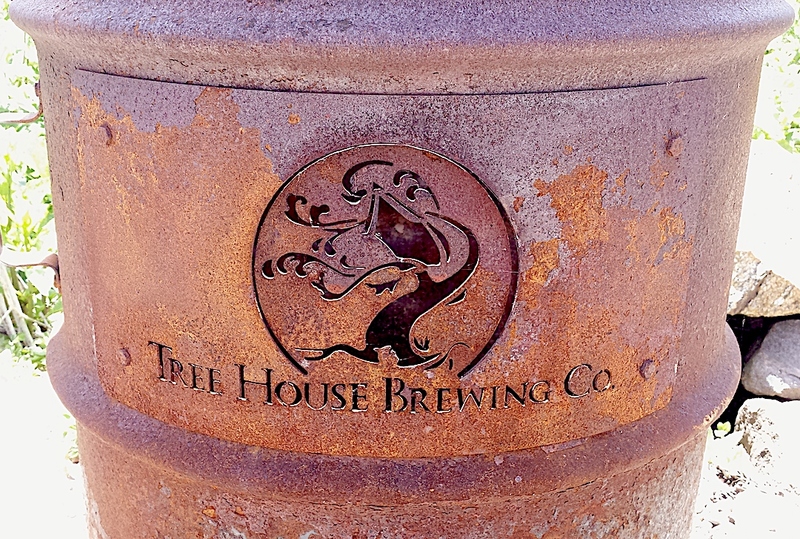 Treehouse Super Sap: Beer #1,168 – Always thought of regular Sap more of a west coast IPA with it’s pine nature and slightly amplified bitterness. Super Sap was a pleasant surprise, really nicely balanced juicy, pine, 94 points. Amazing aroma just blasts out of the can. I wish someone would make body wash that smells this awesome. Tropical fruit abound in mango, papaya and pineapple. In the first few sips, the flavor follows the aroma in a smooth and polished delivery. Adds in some rugged citrus. My only knock…and it’s minor one at that… is that the grapefruit bitterness punches its way in a bit too much on the finish and lingers. Really nice IPA from Foam Brewers, 94 points. Citrus, pineapple with some peach, strawberry. Citrusy bitterness muscles its way in an intrusive way as I work my way through this IPA from Foam Brewers, 93 points. A friend brought one for me for a dinner out. Really enjoyed it. If you closed your eyes, you’d swear you were sipping on a Trillium Double IPA. Same pithy, pillowy juice bomb with a bone dry finish. Best of a formidable trio from Foam. 95 points. What else have I been drinking? When I started trading, this was an early “must have”. I guess my love of the movie Coming to America motivated me to make sure I had this in my cellar…”that boy is good” To be fair, I’ve had this for about three years and I had higher expectations for the experience. Came across a bit thin, smokey acrid, some raisin. I’ll put Sexual Chocolate at 90 points. 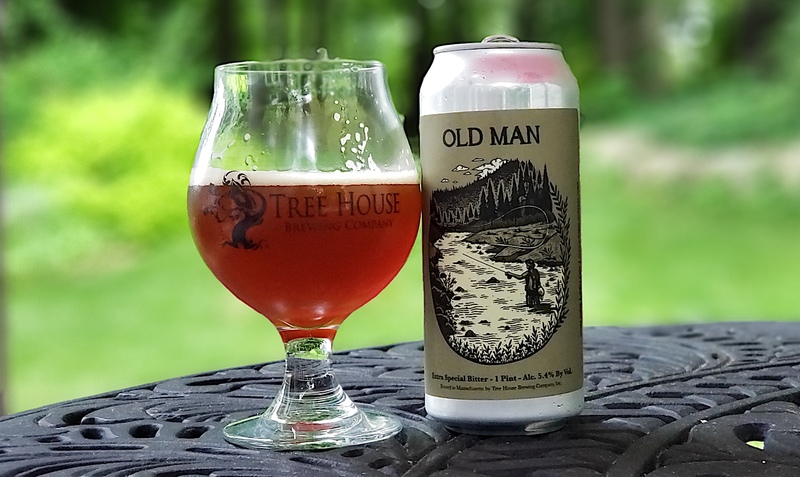 Treehouse Brewing: Old Man (#1,149). If a restaurant is known for a certain dish…you order that dish no? Well, Treehouse is known for high quality New England style IPAs and some nice stouts. An English-style extra special bitter (ESB)? In unusual style, it took them a few weeks to sell this one out. I guess that proves my point. I’m willing to give Old Man a chance but it lacks in any malty characteristics rather has a plastic-like chemical flavor with off yeasty fruits. 85 points. There is a great story around this release. How could the brewery follow up on the 2010 version that was aged in 23 year old Pappy Van Winkle bourbon barrels? Well as the story goes, the folks at Heaven Hill Brewing found some barrels that had been aging bourbon for 35 years. It seems that these may have been forgotten as it’s unusual for bourbon to age more that 23 years. The “rare” comes from the barrels used, and these are rare gems indeed. Of course, “rare” also translates into the ability to charge an inflated price. This bottle of Goose Island 2015 Bourbon County Brand Stout Rare is probably the most expensive bottle of beer I’ve ever had. Retailed for about $60 – $70. It comes in a nice wooden box. While it makes a nice presentation, it didn’t help tame the overpowering boozy whiskey flavors. Has some underlying char, oak and dark fruit. While others might have to equate cost with liking the beer…this was a gift and I’ll call it as I see it. Needs more balance. 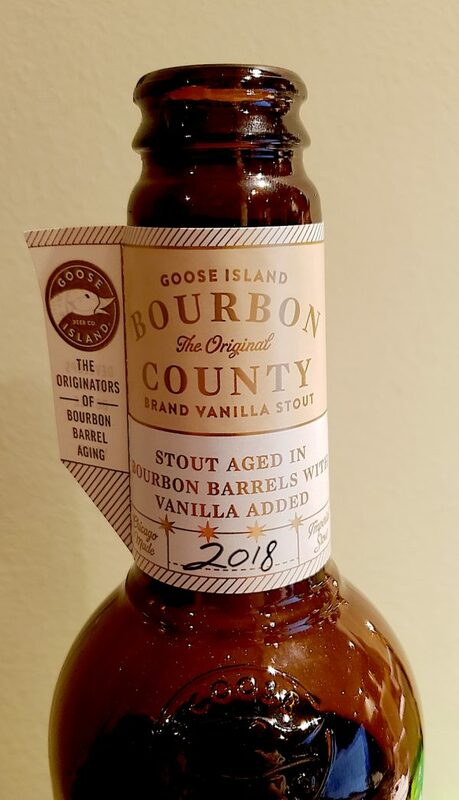 Goose Island 2015 Bourbon County Brand Stout Rare, 90 points.